Look at what I bought! 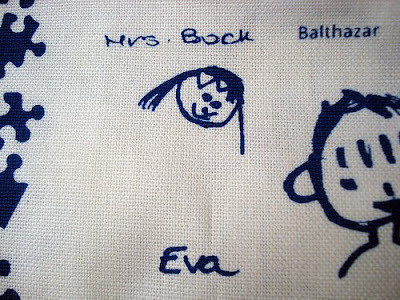 Eva's school is selling these tea towels as a fundraiser. They cost 6 euros ($8.00) each. I can't get over how wonderful they are. 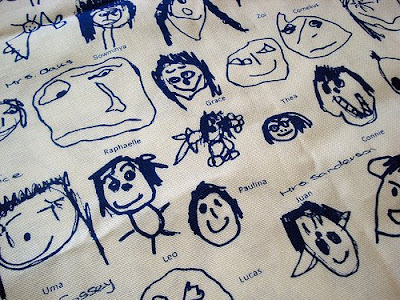 Printed on the tea towel is a self-portrait drawn by each 3-5 year old student. 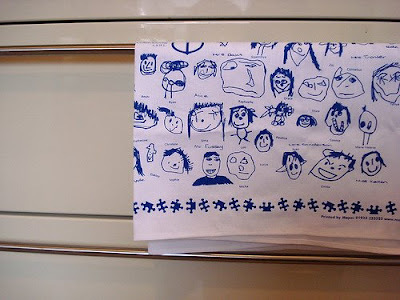 There was also a tea towel done by the older students. I love the variation in people drawing at this age. Each one is unique and simply charming. I could look at this forever and see something new each time, seriously. The school's name and insignia is printed on the middle of the towel!. The whole project - Brilliant! OMG that is cute! I hope you're not actually using it!! Martha has a pattern to turn tea towels into an apron....but it could still get dirty that way I guess (I'm terrible! on my towels! So super cute! How wonderful!! Thank you for sharing! Very sweet! What a great idea. Do you know how they did it? SHARE!!!! They are really wonderful! Such a great idea, and very arty. Adorable! I am going to show this to my children's teachers. In addition to the fabulous mix of faces, it is also fun to read the different names...what seem to be the most popular names over there? 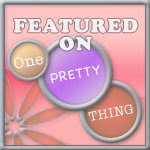 Have you seen www.Spoonflower.com? You can design your own fabric. I wonder if she did that? It almost looks like it's woven into the fabric. So cute! i had one a few years agao as well, in blue like yours, and i find it's a brilliant idea !! something i want to keep forever !